This scalper indicator shows the moments, when you can safely earn 10 point profit with risk only 2 points. It allows greatly increase the deposit during the day, if properly money management used. 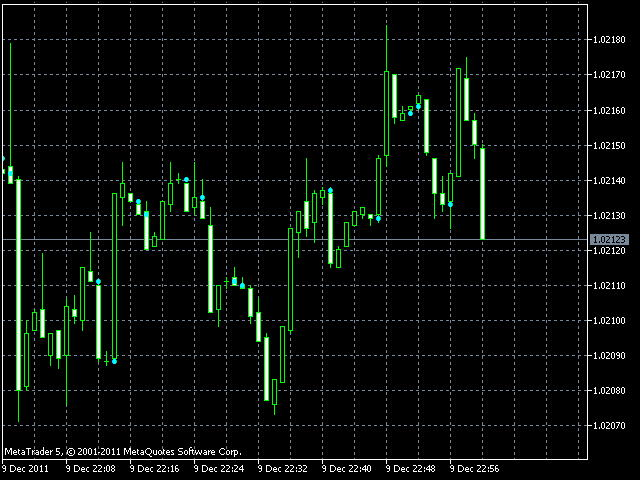 The indicator has only one input parameter - number of bars, used for the calculation of trend. When the signal appeared, place pending order at the price, 2 points higher than the current price (for buy) or 2 points lower current price for sell. 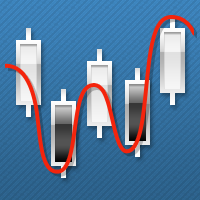 The symbols with high volatility and small spread - EURUSD, AUDUSD, GBPUSD, EURJPY etc. If position has been opened, but the price hasn't reached Take Profit price, modify Stop Loss to break-even level and use Trailing Stop of the position at Low price of the previous bar (for long positions) or High price of the previous bar for short positions. I created an EA with pending orders and one with normal orders. I tried in the strategy tester changing thousand variables...like TP, SL etc... but nothing ... it's not profitable. I've created other EAs on other strategies and they work in real. But this does not work.